Home Portugal Portugal: Is the Residential Property Market Due for a Health Check? Portugal: Is the Residential Property Market Due for a Health Check? Now, while the Algarve is receiving lots of publicity for the worst possible reasons, may be a difficult time to make an objective assessment of the state of Portugal residential market. 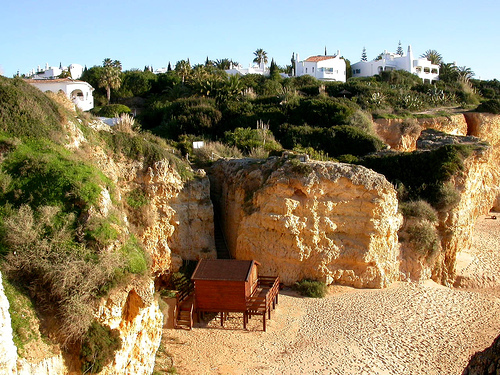 Following the story of the disappearance of Madeleine McCann from Praia da Luz, more UK nationals than ever before will have seen enough pictures of the Algarve to imagine their own holiday or property investment over there but envisaging the prospect in a depressing light. Investors needing to make decisions about purchases or sales of property in the Algarve are dealing with sophisticated marketing by numerous developers and estate agents and they could do with more hard facts than are made available to them from these sources. Easier Property, for instance, claims that 200,000 Britons currently own properties in Portugal, making up 11% of the overseas property investments by the British. However, Savills estimate that the total number of overseas properties owned by UK citizens anywhere is only 400,000(read Savills Second Homes Abroad Report (pdf)). The same helpful report shows that Portugal has taken from 6 to 12% of the foreign property market (for UK nationals) since the beginning of the century although there was a drop to less than 4% in 2003 (incidentally the strongest year for Spain). Since then there has been a strong recovery by Portuguese property and last year it accounted for about 11% of overseas property purchases. Looking ahead, the Savills survey respondents indicate that Portugal will take about 8% of residential overseas property purchase investments. Savills and Foxtons agree in figures for the appreciation in the value of 2nd homes in Portugal, both quoting a figure of about 10 to 15% for the 2000-2006 period. However, it should be stressed that the Foxtons figure is for second homes and that Portugal has been falling behind in recent years in overall house price appreciation, which was 3.16% in 2004, 2.32% in 2005 and actually fell by 0.41% last year. This suggests that acquiring older properties away from tourist centres may be more risky than investing in purpose built developments. Savills calculate that the average rental yield on a holiday property in Portugal is 4.6% (based on 19 rental weeks a year) but this slips to a net figure of 3.1%. the current net total return (based on the 2000-2006 house price appreciation figures is 14.5% which is roughly the same as Greece and Cyprus and slightly better than Spain’s. The Purchasing Difficulty Index figure for Portugal (the hassle factor) is relatively high. Rental yields in Lisbon at 5 to 6% seem to be slightly higher than in the Algarve on an annualised basis because this is a year-round market. Net rental income is taxed at 15% while local property tax is normally 0.4 to 0.8% with tax holidays of three to six years. Capital Gains Tax is applied at 25% but there is 50% relief if the value of the sale is re-invested in residential property. However, there is no Portuguese inheritance tax. Portuguese landlord and tenant law strongly favours the latter with tenancy agreement terms either being open ended (which could mean for life) or for a minimum of eight years. For this reason alone, Portugal does not appear to be suitable territory for unwary buy-to-let investors from abroad. Planning controls are more strict in the western Algarve than elsewhere with the result that extensive new developments right next to the sea seem unlikely (though readers may have seen advertisements for Vigia’s Parque da Floresta in the far west with very nice sea views). However, property developments in other parts of Portugal such as the Joia das Dunas development on the so-called silver coast, nearer Lisbon, or Royal Cabanas Beach & Golf at Tavira in the eastern Algarve , must offer either easy or inclusive access to golf courses. It seems as if ‘with golf course’ is a key criterion for safe profitable investment in Portugal. In the longer term, though, it seems likely that low prices coupled with attractive locations such as Obidos, Evora, Coimbra (Portugal’s main university town) and the River Douro will encourage more people from Northern Europe to settle in other parts of the country. Property purchase in Portugal already seems to be mainly a matter of lifestyle choice over investment strategy and this is unlikely to change in future.